In addition, there are some open competitions to select conference interpreters at two different grades (i.e. different levels of experience) not to fill a specific post, but to constitute a reserve pool from which the institutions draw recruits as and when they need them, in Danish, German, English and Slovak. Apply by midday (Brussels time – CEST) on 7 August 2012. 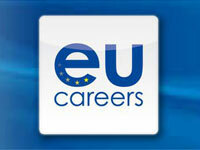 There are also paid translation traineeships being offered for graduates, which run for five months starting in March 2013. Apply before 31 August (12:00 Brussels time – CEST).